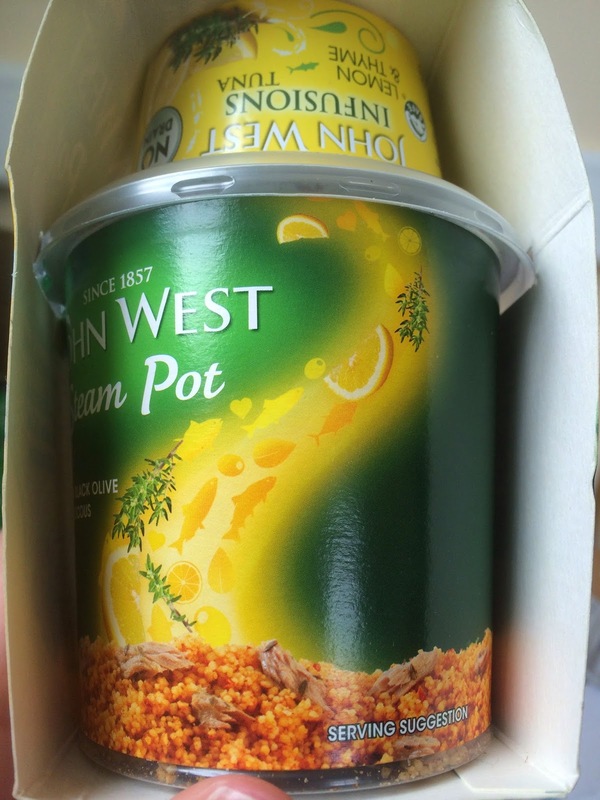 As part of my ongoing quest to find a lunch that is something to look forwards to I picked up some healthy looking tuna pots by John West to go with my Frey Bentos & curry pots that I had. I mainly did it out of a sense of balance and to add variety to the range. I didn't expect these to be my favourites so far! Spectre has reviewed the Lemon version already but that happened to be the one I'd taken pictures of. I also had the sun dried tomato version but didn't have my phone on me that day. 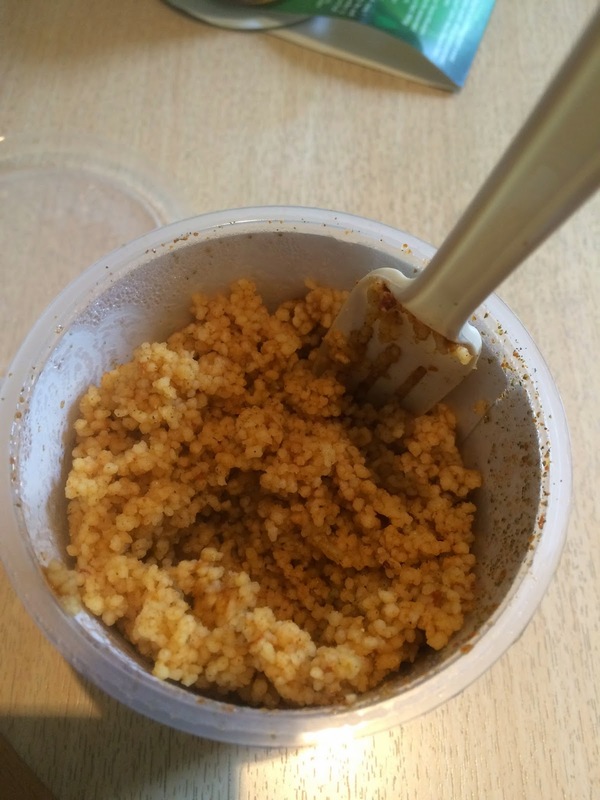 In all varieties you get to pots - one of tuna and one with the cops-cous. It's all pre sorted and has a fill line and lots of things in to make it yummy. 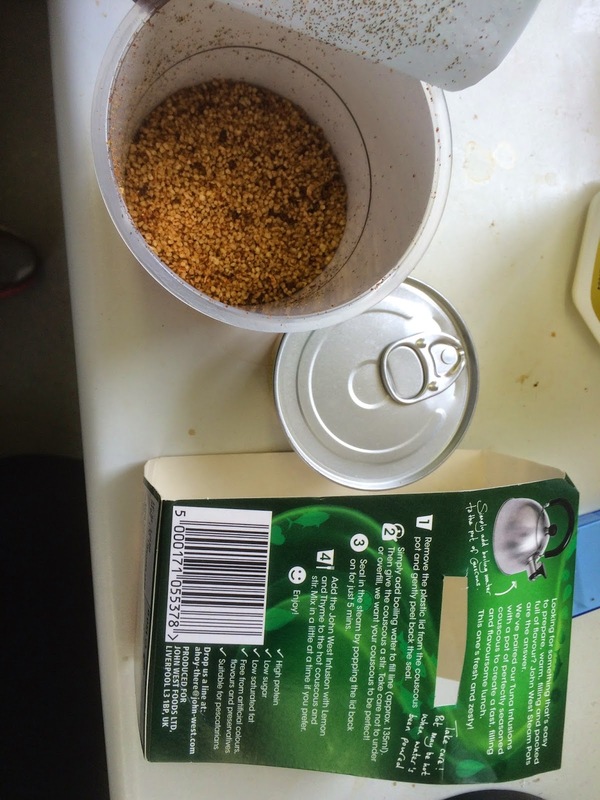 I prefer to make my own flavour to these sorts of things (a bag of plain cous-cous is pence and goes a really long way) but I was surprised by the quality and mix here. Each variety not only has a different flavour for the tuna but also for the cops-cous so in theory you could mix and match the 6 varieties for 36 different lunches - but I'm guessing they paired them up correctly. You even get a fill line and they let you in on the secret to a good pot noodle - recover it while the ingredients mingle for the best taste! While the packaging is good it's not robust enough to be reused like the Fray Bentos one was. All recyclable though. Sadly no steam is actually involved (just water vapour - but not all tuna fishermen are scientists so we can let them off_ but it does all end up fluffy and cooked. As Spectre mentioned - it fills the pot well and there really isn't room for all the tuna. Just adding it in bits works though. And much to my surprise it's really good. It's filling, it has a varied texture, and it's really simple to do - you can even make it with the pre-boiled water in the drinks thing in our break room. I didn't think that I'd be turning down the meatballs for tuna, but this is tuna done well. 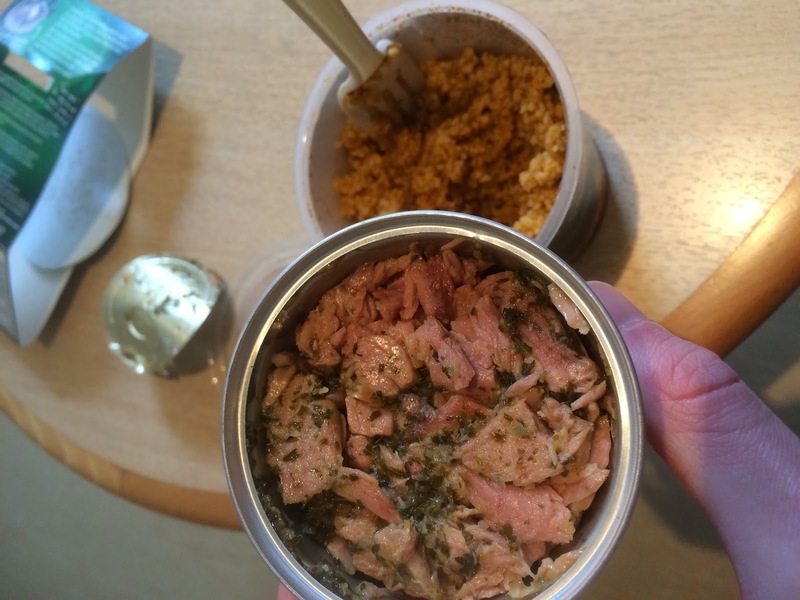 I'm not sure I could replicate this either - while I can mix up my own cous and take that to work, it's the flavours in the tuna that really make this shine. And while I was googling the varieties for the review I found a 50p off voucher. When I go for my next batch of lunches I'm getting as many of the flavours as I can (without the mushroom one). It's neither as good as the Pieminister Pie Pots nor as expensive, but I can see myself eating this a lot more as it feels a lot better for me, is cheaper, and is much more readily available. An unexpected win.